A guide will meet you in the Whale Watching Centre, which is facilitated on board an old fishing vessel permanently placed by the pier. For optimal viewing and a more enjoyable cruise, this tour is weather dependent. 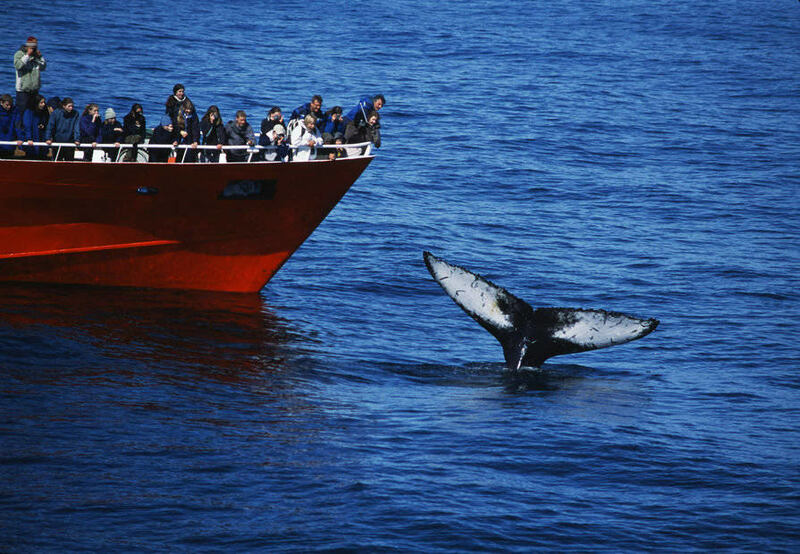 We abide by a Code of Conduct for responsible whale watching, thus each encounter is on the animal’s terms and distance may be kept to minimize disturbance. 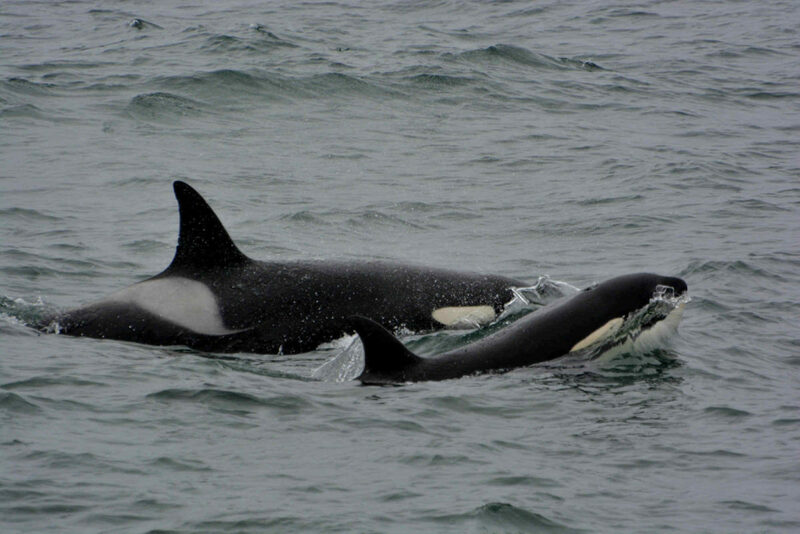 Click here for more information on the cetacean you can expect to see on the tour. 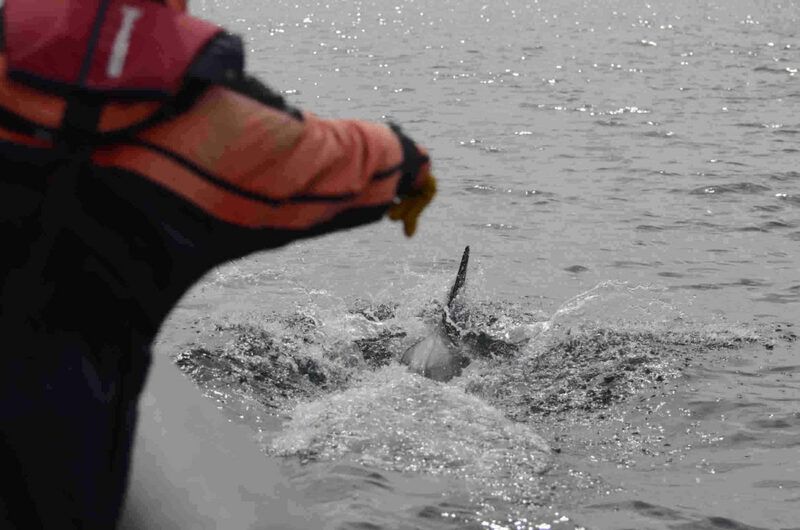 If no whales or dolphins make an appearance on your tour we will offer you a complimentary ticket valid for two years. The Reykjavik Whale watching tour starts when a guide meets you in the Whale Watching Centre, which is located in Ægisgarður in the old harbor area in Reykjavik’s city center. Before or after the tour you can enjoy the onboard multimedia show that includes images, videos, and facts about the whales and marine life. 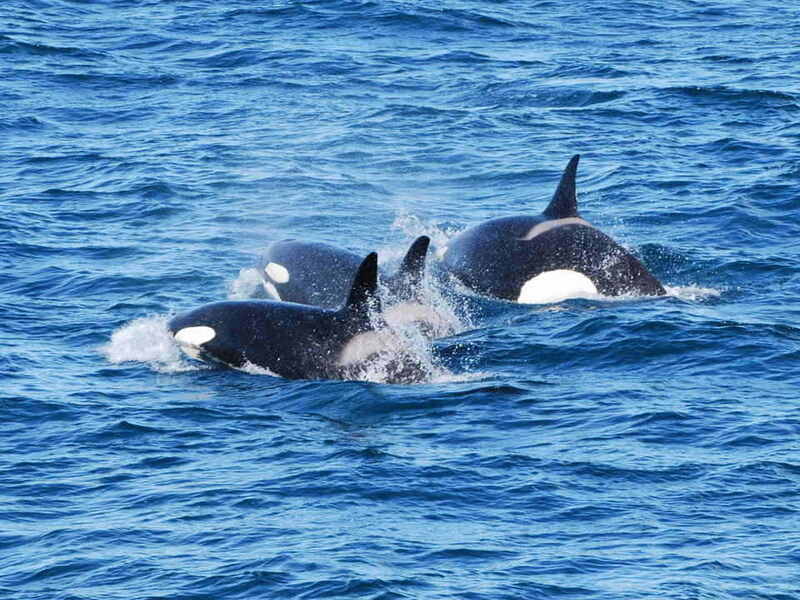 Summer season is great for whale watching, as the wildlife in the bay is at its highest peak. This is the time when the minke whales are at their most abundant, along with the white-beaked dolphins, harbor porpoises, and humpback whales, giving us the chance to enjoy and understand them in their natural environment. Please note that for your enjoyment and pleasure, this tour is subject to weather, conditions, and visibility. Therefore the tour could get canceled on short notice. In this case, we will contact you with as much notice as possible with the information provided in the booking process. 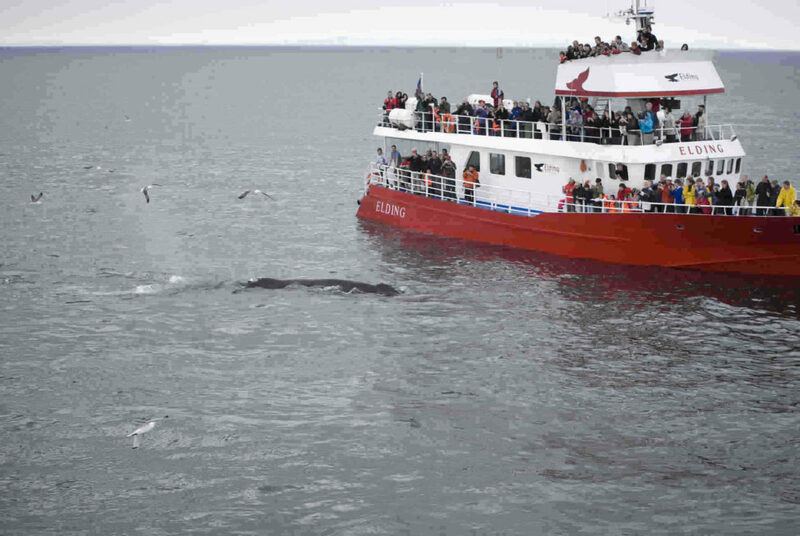 Reykjavik Whale Watching tours are focused mainly on the southern part of Faxaflói, just off Reykjavík. Each day we scan the area for signs of whales as we never know for sure where we might find them. Sometimes we have to go far while at other times the whales are quite close to shore.In rare occasions, we head to other areas and/or depart from nearby harbors e.g. Hafnarfjörður, Keflavík, Sandgerðir or Grindavík. 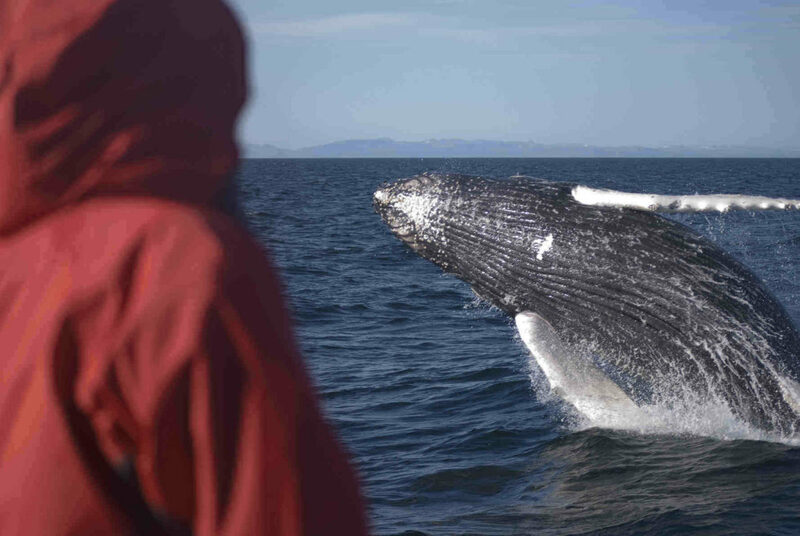 This is the case when weather conditions or chances of seeing the whales are greater there than in our normal area. Unfortunately we did not see any whales on our trip, however we got the chance to see the dolphins. I went on this trip because I have always wanted to see the beautiful water creatures so I was a little disappointed. But the guide was very friendly and we got great information about the whales in Iceland. Hopefully next time I will get lucky.